Blackledge Furniture is the area's oldest and largest home furnishings center offering you a complete selection of Furniture, Bedding, Floor Coverings, and Decorative Accessories at Guaranteed Low everyday prices. Since 1901 we have been helping our customers select the best furnishings to meet their performance and design expectations. Come in and let us show you what we can help you do for your home. Get to know Our Professional Staff , and contact them directly. Guaranteed Lowest Prices - We will match or beat any store's "sale" price on the same merchandise and same terms, even up to 30 days after your purchase. Guaranteed Satisfaction - If you decide a purchased stock item is not right for your needs, for any reason, you may return the item within 3 days. There is no charge if you return a stock item, other than bedding, if it is returned in the same condition in which it was received. For larger items, we can pick them up from you for just our standard $49 transportation charge. There is just a 20% restocking charge on custom ordered items which are returned or canceled more than 3 days after the date of sale. Unfortunately, custom sized items such as window blinds, fabric, or floor covering and modified items are not returnable unless defective. Guaranteed Service after your purchase - Your purchase is protected by our exclusive Blackledge Furniture 6 month transportation and labor Warranty, in addition to any manufacturer warranties. Our professional Furniture Services staff is ready to help you with any product service needs even after the warranty period. Free Delivery - On purchases over $999 we provide free Deluxe Delivery within our local and regularly scheduled delivery areas from Portland to Eugene and from the central coast to the Cascades. We encourage you to learn about the important community services provided by some of the many organizations we support and partner with to help improve our mid-Valley communities and and the well being of our residents. Please consider joining us in making a donation of goods, volunteer time, or funds to these worthwhile groups. Blackledge Furniture is a fourth generation family business started in 1901 to serve the home furnishings needs of the mid valley area. 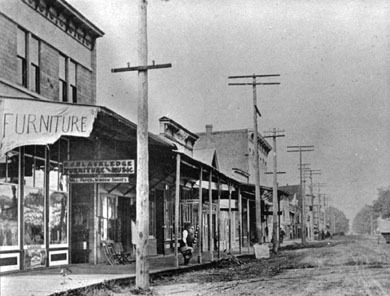 The store was founded by Oliver J. Blackledge who came to Oregon from Iowa in the 1890s. 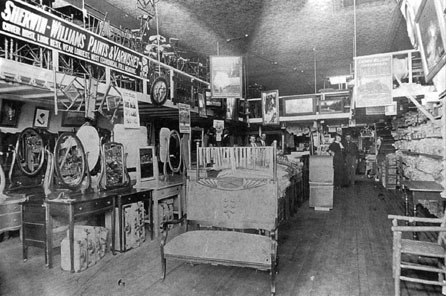 The store originally sold furniture, bedding, rugs, paints, musical instruments, and even undertaking services, as was common for furniture stores at the time. The original store at 334 SW 2nd in 1901. The original store was remodeled and enlarged in 1923 with the construction of a new building to the south. 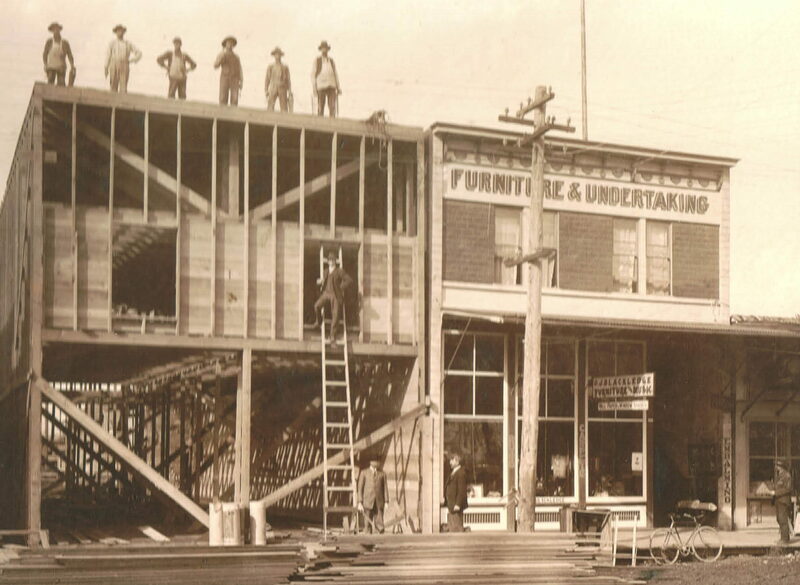 The store grew during the 1920's and survived the depression years by developing one of the largest paint selections in the Willamette Valley. During the 1940's the selection of furniture was expanded. Even then, the store sold well know brands such as Drexel Furniture, Hotpoint appliances, Atwater Kent radios, and Sherwin Williams paints. In 1970 the current owners Eric and Judy Blackledge moved the business north one block to it's current location at 2nd and Jefferson. The renovated department store building gave us almost 35,000 square feet of sales area with a large adjoining 18,000 square foot Annex, Clearance Center and warehouse - service area. Our new store permited a greater emphasis on home fashion and design with an expanded selection of high value and higher quality products. In addition to the largest in-stock selection of home furnishings in the mid valley, our design oriented sales advisors can help you custom order from over 6,000,000 different special order items available from hundreds of manufacturers. And, you always get our Guaranteed Low Prices and other exclusive benefits.